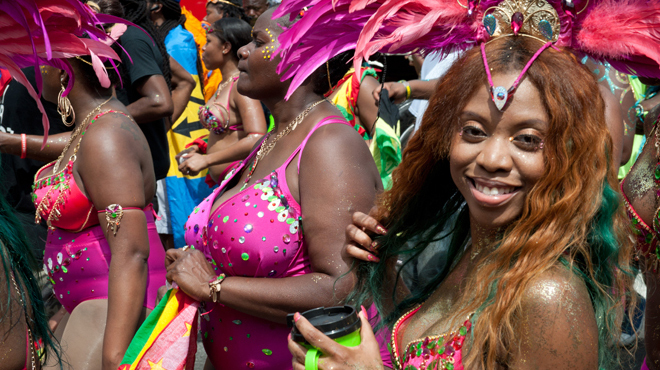 The West Indian Day Parade and carnival is consistently one of the best things to do over the summer. The event draws close to two million people, so, yeah, you could consider this the most exciting Labor Day Parade NYC has to offer. Instead of spending your day off at one of New York's beaches, consider immersing yourself in rich Caribbean culture and heritage. It’s bound to be one of the best summer parties in New York this year. 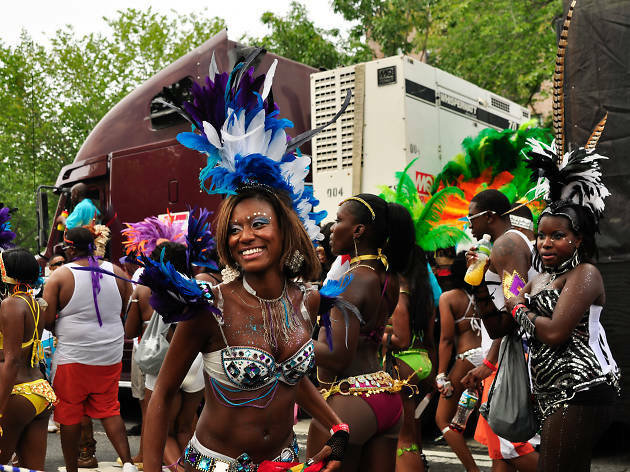 When is the West Indian Day Parade? 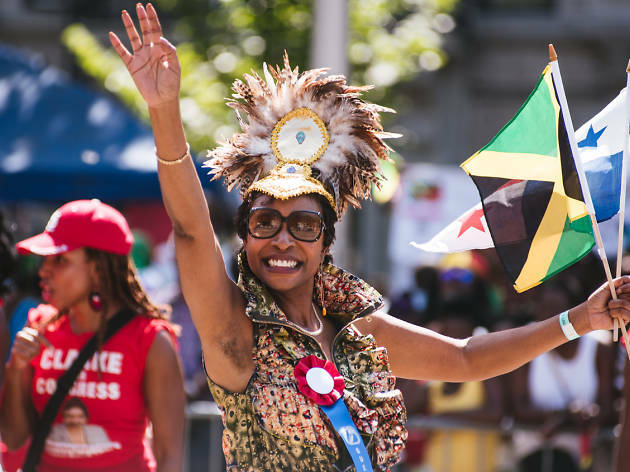 The West Indian Day Parade is Monday, September 2, 2019. The march starts at 11am. 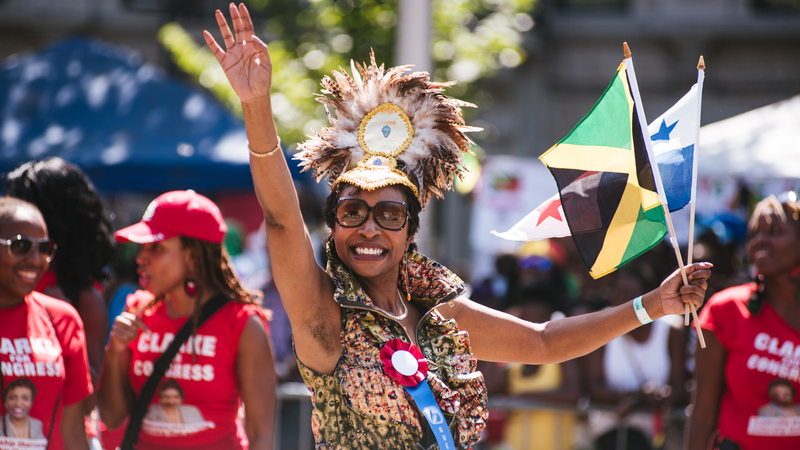 Where is the West Indian Day Parade? 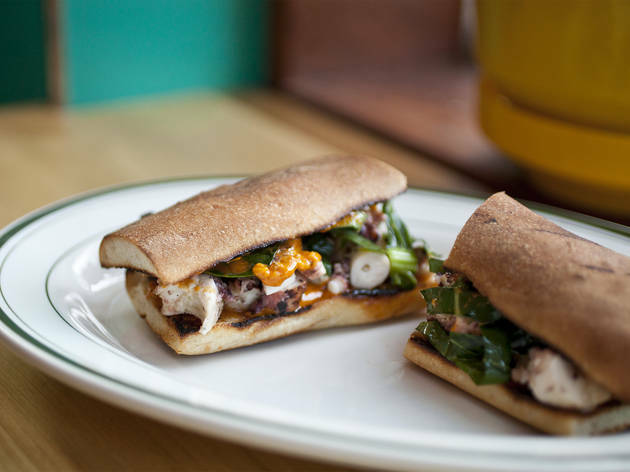 During the seven-hour New York carnival, steel-pan and calypso bands in elaborate costumes march down Eastern Parkway, and vendors sell homestyle island grub along the route in Crown Heights, Brooklyn. The parade starts at Schenectady Avenue and ends at Grand Army Plaza. 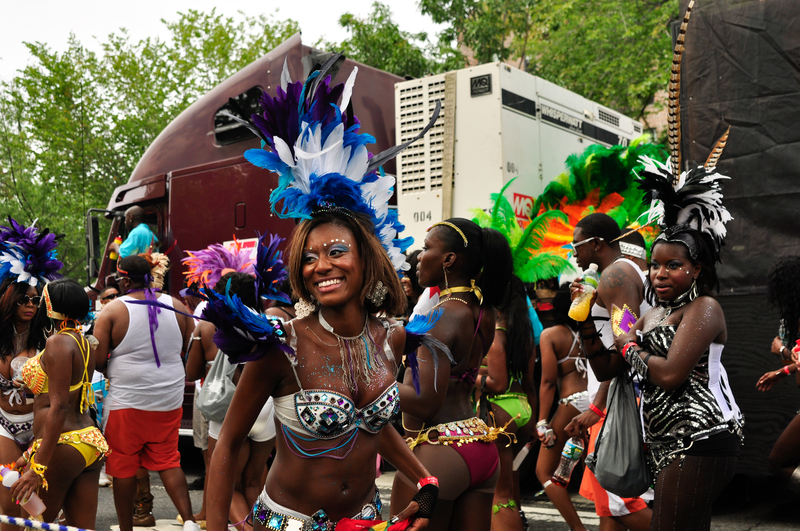 What can you do before the West Indian Day Parade? The pre-parade parties begin at 6am with J’ouvert (daybreak in French), an irreverent festival held before the parade. 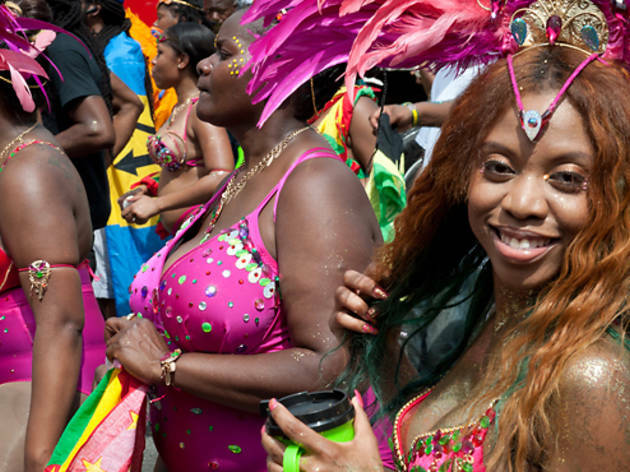 What happens during the West Indian Day Parade? 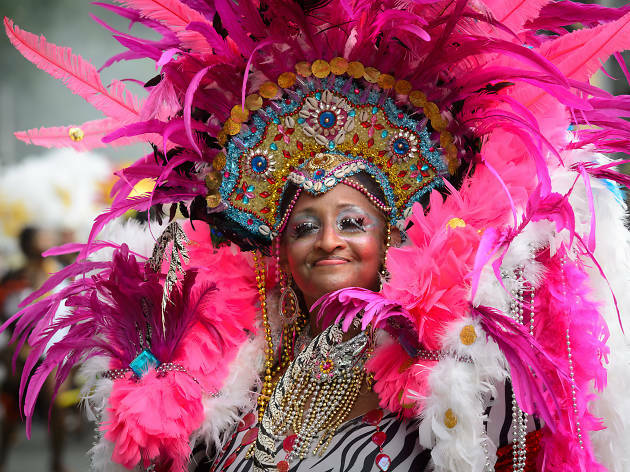 The procession always features skin, feathers and sequins, with flags and music that celebrate the heritage of Trinidad and Tobago, Haiti, Barbados, Dominica, Saint Lucia, Jamaica, Saint Vincent and Grenada, Guyana, Suriname and Belize, among others. Revelers often dress up as political figures or celebrities and throw powdered paint at each other, while steel drums and whistles provide the celebratory soundtrack. 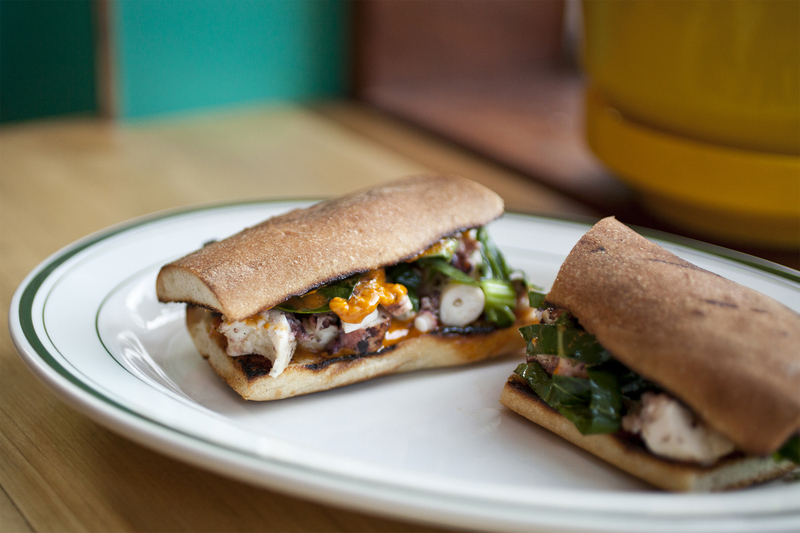 Look out for food vendors offering traditional dishes. 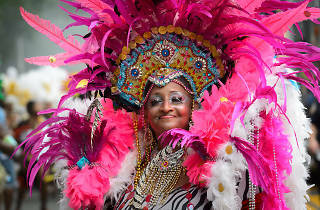 The West Indian–American Carnival Parade and pre-parade party J'ouvert are decades-old New York City traditions. They celebrate the best of Caribbean culture and provide ample fun and festivities for the third leg of a long Labor Day weekend. This year was no exception as scores of people filled Eastern Parkway in Crown Heights, Brooklyn, for the colorful dancers, authentic cultural cuisine and live music.